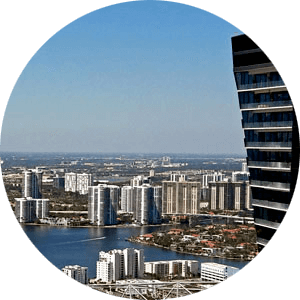 Direct Intracoastal views and spacious residences in the 400 Leslie Towers condos. Spacious condo units offer one to three bedroom units with direct waterfront views. 400 Leslie Towers condos for sale are so adaptive to conversion to open floor plans it is just amazing what they look like after that. Please Contact Us or give us a CALL 786-505-4786 if you have a question on the Towers of 400 Oceanview East. If you are looking for primary or a vacation condo 400 Leslie Towers are a definite must to see. Other similar buildings in the development are 1000 Parkview Oceanview, 800 Parkview Oceanview, 600 Parkview Oceanview and 200 Leslie Towers. See available 400 Leslie Drive condos for sale. Complex features direct Intracoastal views from the majority of the residences in the building. 400 Leslie Drive Hallandale FL spacious residences offer spacious one, two and three bedroom condos that feature floor to ceiling windows and spacious balconies. Such an amazing condo complex. 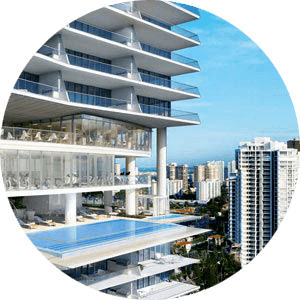 400 Oceanview Towers condos Hallandale Beach is one of those buildings that you just can't say enough about. One of a total of 5 in the buildings in the development just of the Three Islands Blvd, the complex is very walkable and has amazing waterfront views. What a great location, far from the main road and practically on the Intracoastal to enjoy the beautiful direct views of the waterfront and even the Ocean depending on the floor that you are on. Condos for sale in 400 Leslie Towers offer spacious one and two bedroom residences that I have seen people convert to the 3rd bedroom from the Den. Give us a call 786-505-4786 and let us show these wonderful condos for sale.